This is a really pretty jewellery set consisting of a bracelet and a choker style necklace to match! 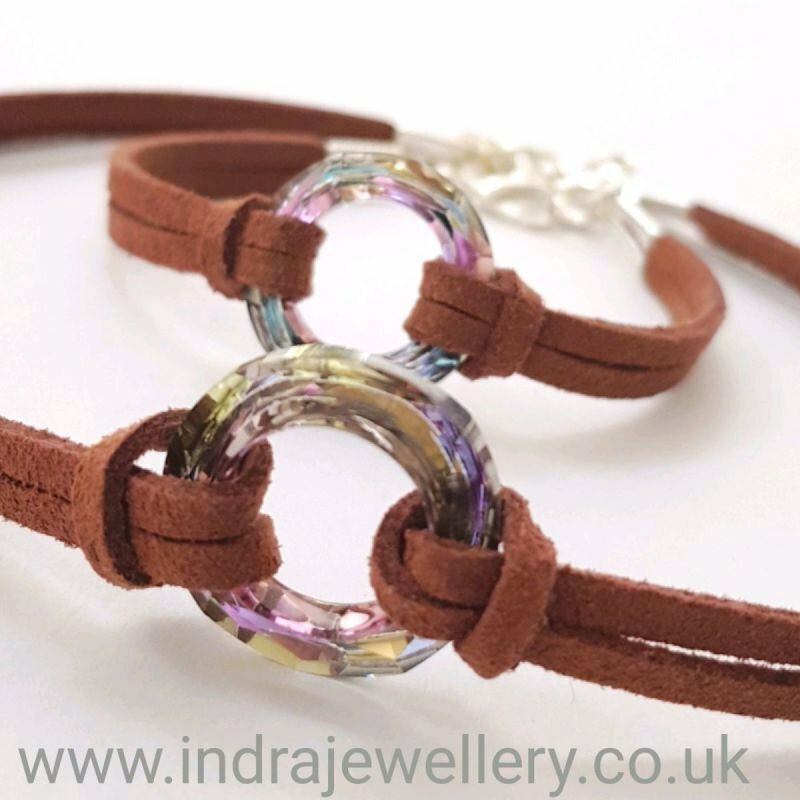 It is made with soft tan leather and have a focal and central swarovski ring which shimmers a rainbow of colours in the light! being swarovski the rings sparkle against the rusticness of the leather producing a fantastic combination. Not only is this set comfortable to wear, it will also look great worn daytime or evening. The bracelet measures 6.5" and the choker measures 12" with a 2" extender chain added.